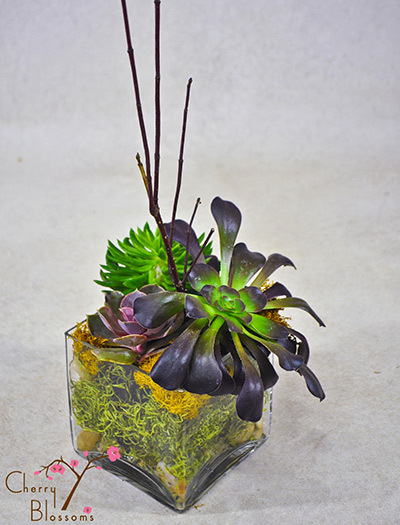 A succulent mini garden in a terra cotts pot. Long lasting, easy to care for succulents with interesting color variations and textures make a great indoor garden. 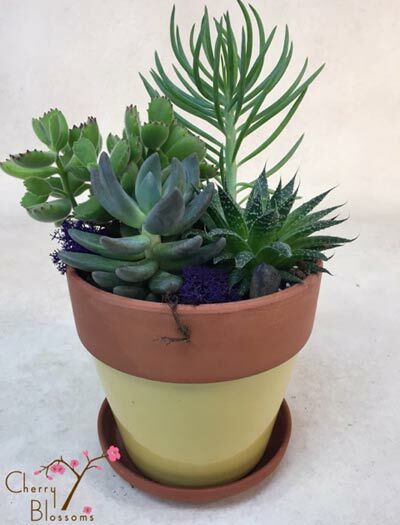 Planted in a terra cotta pot.